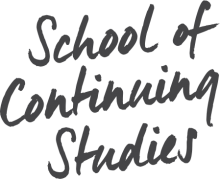 Situated in sexuality studies and education this course explores intra and interpersonal relationships through examining the intersections of sexuality with a diversity of identities, expressions and communities. The course addresses the ways in which current and emerging technologies influence and inform understandings of sexuality and the resulting effect on how people negotiate sexual relationships. An examination of the psychological and sociological foundations of family life education tracing the evolution of theory, research and practice within this domain. A review of current theory and knowledge of human development through the life cycle. Particular attention is given to emotional and social development. All major age-stages are considered. Emphasis is placed on the effects of interaction between individuals of these different age groupings. Content will vary from year to year and will be announced prior to registration. The seminar may be given by a single instructor or by a group, as the occasion warrants. The contribution of central concepts of psychological theories and therapeutic systems to the understanding of marriage and relationships. Special attention will be given to gender and ethnicity issues in order to increase the sensitivity of students to the issues typically confronted in the modern marriage and family. The impact of death and dying on individuals, the family, the community and society. Family communication processes and interpersonal reactions in the context of marriage and the contemporary family will be considered. Attention will be given to role changes and the effect of crises on marital and family relationships. The content of the seminar will vary from year to year and will be announced prior to registration. The seminar may be given by a single instructor or by a group, as the occasion warrants. Seminar in selected topics in Educational and Counselling Psychology. The topic will vary from year and will be announced prior to registration.